1. 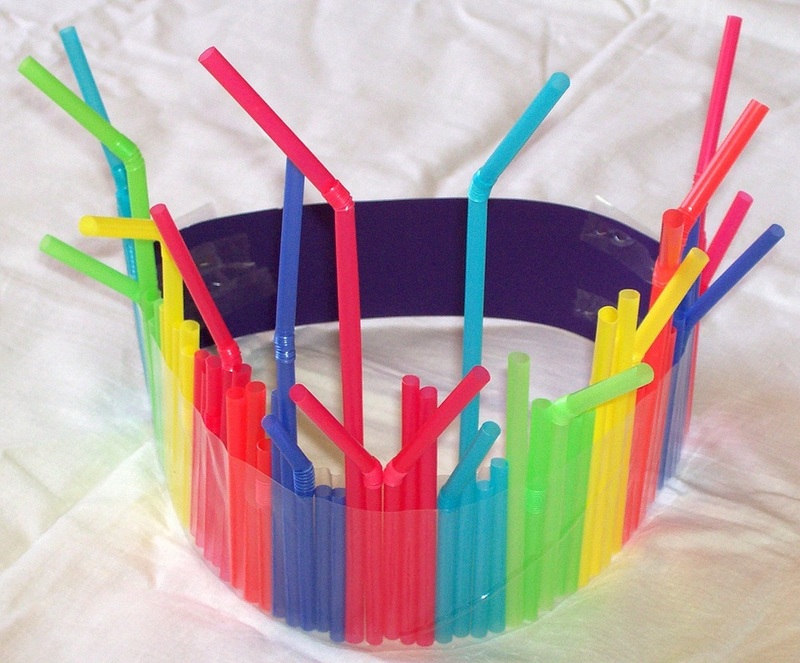 Straws (bendable) in different colours and cut to different lengths. NB: You can click on an image to get a larger view. 1. 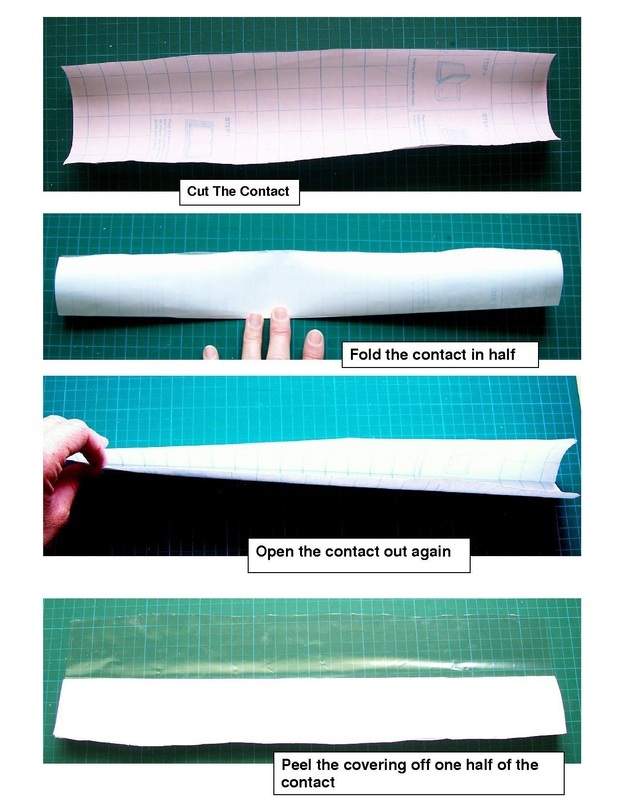 Fold the contact in half, and run your fingernail along the crease. Open it up again. There will be a crease line down the centre. Peel the covering off one half of the contact. 2. 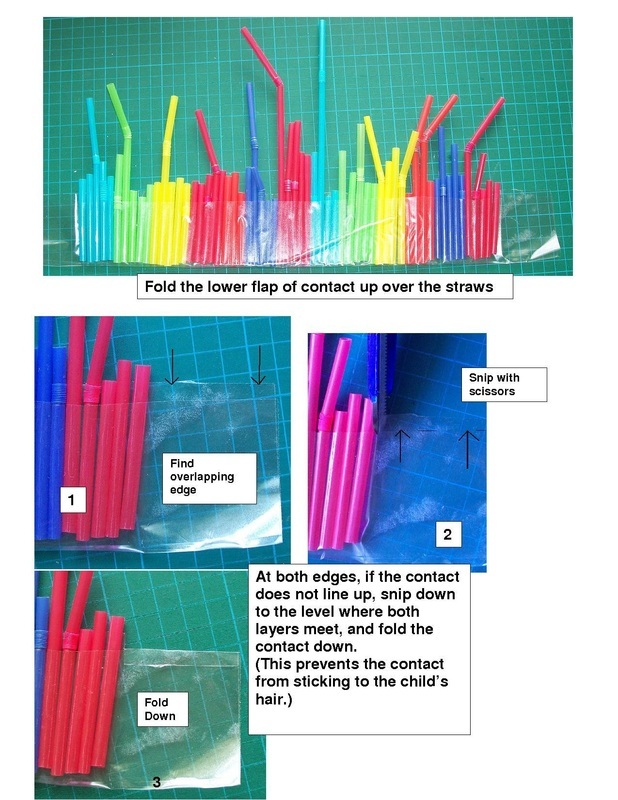 Lay the straws onto the revealed contact, lining their bases up with the centre crease. 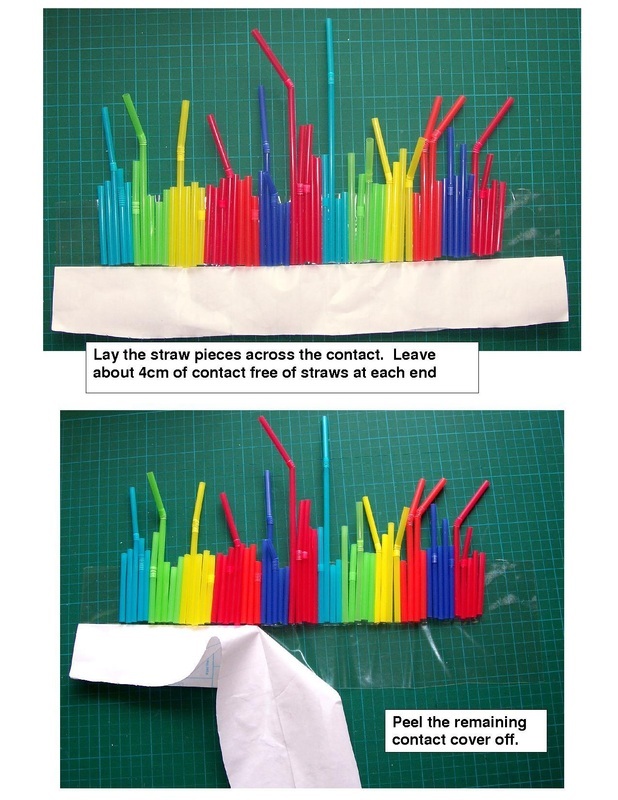 Leave about 4cm of contact free of straws at each end. Peel the remaining contact cover off. 3. Fold the lower flap of cantact up over the straws. At both ends of the contact (where there are no straws) the contact may not line up perfectly. If this is the case, snip down to where both layers meet, next to the last straw, and then fold down the contact down. This will stop any contact form sticking to the child's hair. 4. Staple the crown onto the cardboard strip. 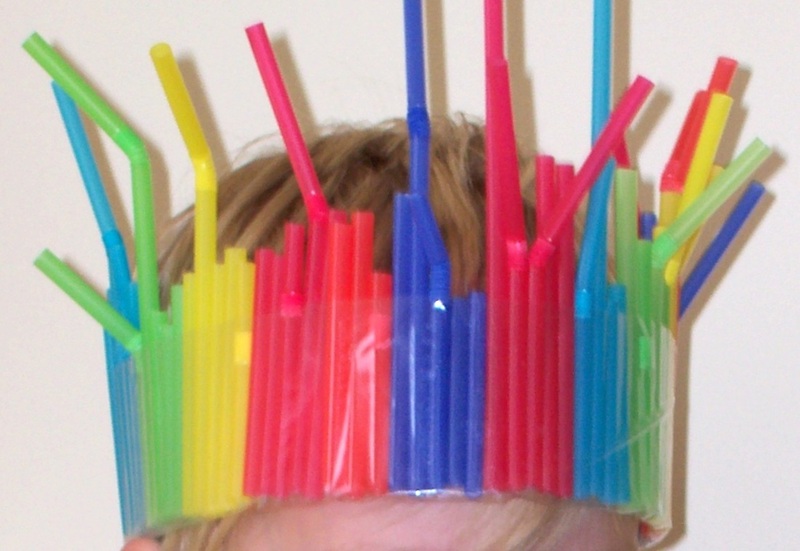 Measure the length of card required for the crown to fit around the childs head, and then staple the other side to the required length. 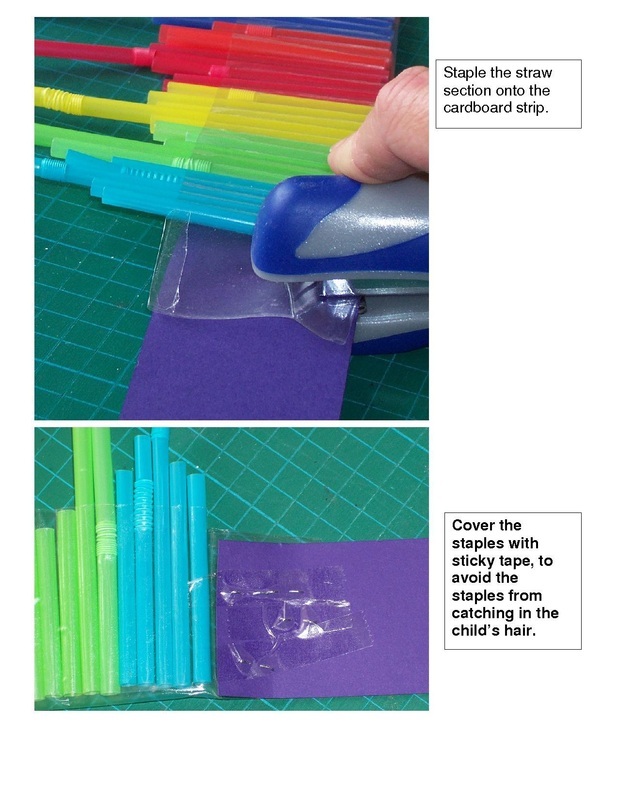 Cover the staple ends with sticky tape, so that they can't catch in the child's hair.